Lady Pauline is likely to spearhead Wesley Ward's assault on Royal Ascot this summer following her scintillating debut at Keeneland last week. 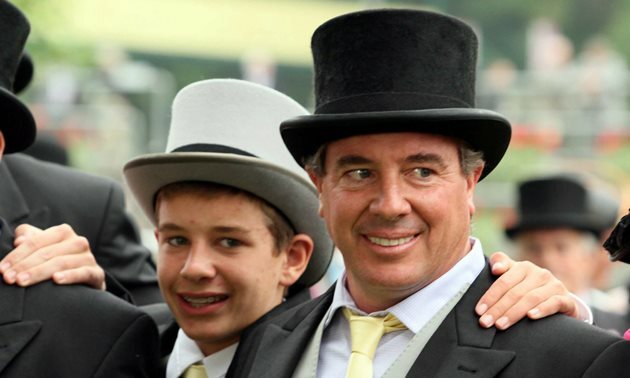 It is 10 years since Ward became the first American-based trainer to saddle a winner at the showpiece meeting, enjoying a double with Jealous Again and Strike The Tiger. Wind the clock forward a decade, and the likeable handler sits on 10 winners - and has high hopes of adding to his tally in June. 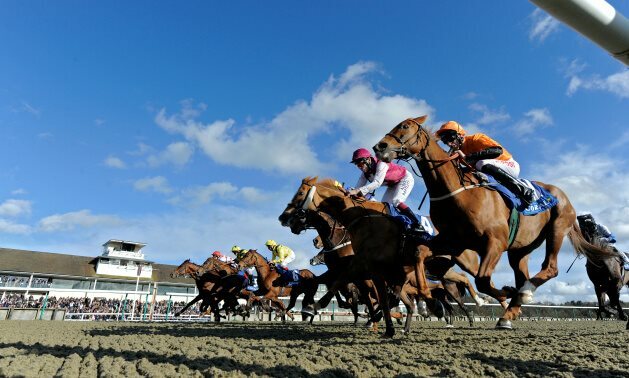 He said: "We've had a wonderful 10 years, but we all know how tough Ascot is. "We've had some amazing days. We've been very lucky to go with some really fast horses. "Hopefully we have a few for this year, too." The aforementioned Lady Pauline is bred for the job as a half-sister to Ward's dual Royal Ascot heroine Lady Aurelia. The brilliant filly won the Queen Mary in 2016 and the King's Stand 12 months later - and Lady Pauline looks a serious contender for the former contest, judged on her wide-margin debut victory on Friday. Ward is seriously considering bringing his charge to Britain early to run on the newly-named Royal Ascot Trials Day on May 1. He said: "I've put a plan out there to go to Ascot in May for the race we won with Create A Dream a few years ago. The Stonestreet Stables (owners) guys will talk it over and decide, but the reason they sent her to me was to race in (Royal) Ascot. "I think she's a very good filly. Her work has been really nice since the start, and I'm excited about her for sure. "If she doesn't run in the May race in Ascot I would say it's doubtful she'll run before Royal Ascot. There is one race for her in Churchill, but that is on the dirt and I'd be trying to steer them (owners) away from that if we want to go for the Queen Mary." Lady Pauline is set to lead a strong band of Ward-trained juveniles at the Royal meeting - with Nayibeth, Champagne Affair and Palace Duchess, who is owned by legendary jockey Steve Cauthen, all put forward as possible raiders. 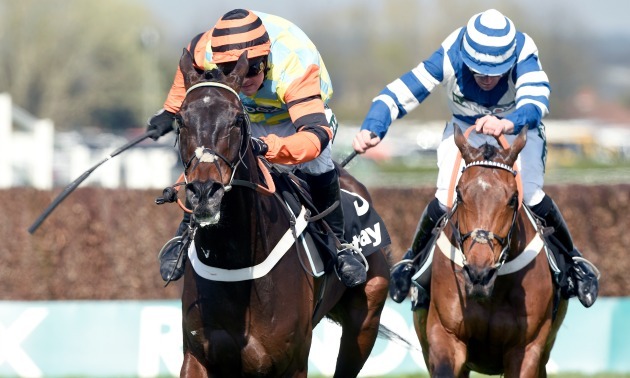 Ward is also hoping to see Bound For Nowhere return to Berkshire in June, having finished a close-up third in the Diamond Jubilee last season. "He ran at the weekend and was beaten a short-head, but I think chances were compromised," Ward continued. "I kind of like him to come from behind a little, and the jockey took him straight to lead - which doesn't really suit him. "He's come out of the race in great shape, and I think he's back to his best." Another Ward inmate set to race in Britain is The Mackem Bullet - formerly trained in Yorkshire by Brian Ellison. 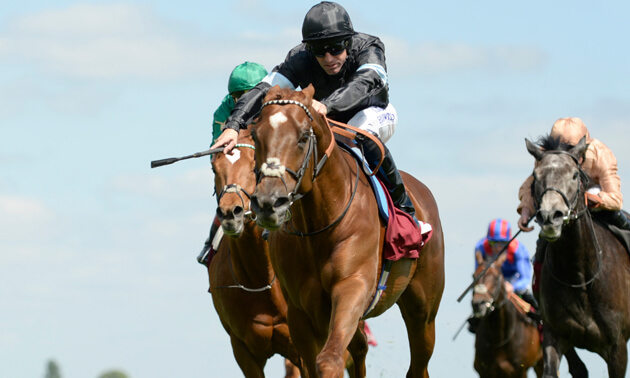 The Society Rock filly was narrowly beaten by Aidan O'Brien's Fairyland in both the Lowther at York and the Cheveley Park at Newmarket last season, and joined Ward after finishing sixth at the Breeders' Cup. 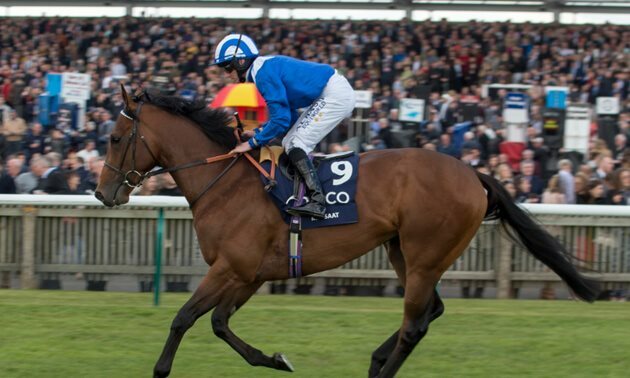 She proved she has lost none of her ability when winning the Appalachian Stakes at Keeneland over the weekend, and connections are now considering whether to run her in the Qipco 1000 Guineas at Newmarket. "We'll talk it over with the owners next week and see which way we go. I'm very grateful to the Yoshidas (owners) for sending her to me," said Ward. 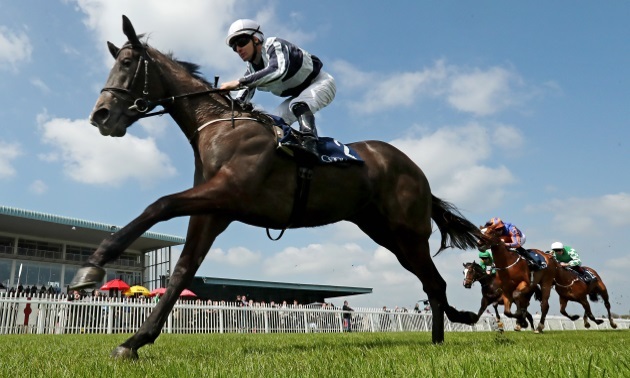 "She's in the 1000 Guineas, and later on there's the Coronation Stakes in Ascot. It will be one of the two."